Al-Hasakah District (Arabic: منطقة الحسكة‎, translit. 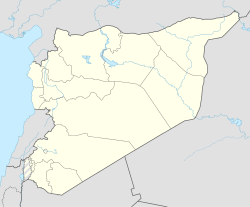 manṭiqat al-Ḥasaka, Kurdish: Devera Hesiçe‎) is a district of al-Hasakah Governorate in northeastern Syria, also known as the Jazira Region. Administrative centre is the city of al-Hasakah. At the 2004 census, the district had a population of 480,394. This article about a location in Al-Hasakah Governorate, Syria is a stub. You can help Wikipedia by expanding it. This page was last edited on 27 February 2019, at 22:43 (UTC).